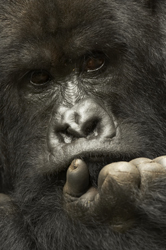 a Rwanda Photo Safari for Mountain Gorillas. 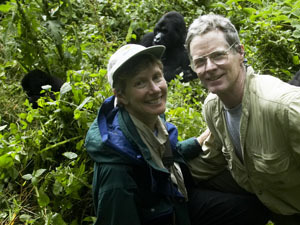 personally led over 100 Treks for Mountain Gorillas. 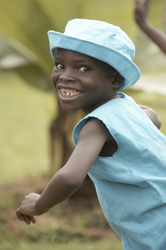 Read all of our Rwanda trip reports to get the full scoop! Quite simply, this shoot may be the most exciting and exhilarating wildlife experience of your lifetime. Approximately 800 mountain gorillas survive in the wild and our photo tour will visit many of Rwanda's habituated groups open to tourism. You'll be seeing silverbacks face-to-face and eye-to-eye, an incredible, humbling, yet up-lifting encounter you'll never forget! There are several reasons! 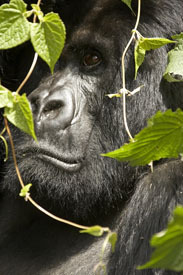 Perhaps most importantly, most groups only do one or two visits to the Gorillas. Very few do three. 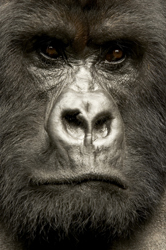 So, why do we do FIVE days of gorilla trekking? 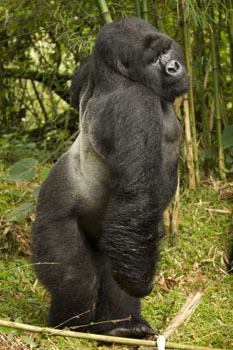 First, there are eight different groups, ranging in size from around 9 individuals to one group of over thirty gorillas! 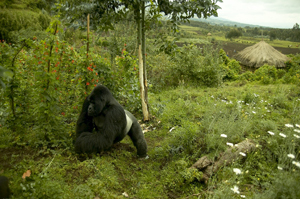 Each group is different, in terms of group composition (the number of impressive silverbacks, the number of babies, the number of playful juveniles) and the physical conditions of the shoots may vary greatly -- from open clearings to bamboo forests (but more on that, below). 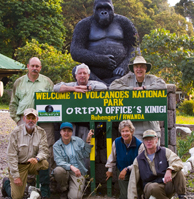 Tourist groups are limited to no more than 8 visitors, in addition to the trackers, gorilla guide, park rangers, and porters that accompany you up the mountain. By having five days of trekking, we'll have the chance to visit our favorite group (which might be the biggest, or the closest, or the one with the best baby!) twice, as we will have the option of doing one group twice. 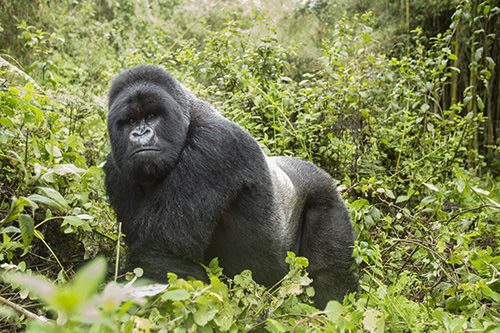 Further, the weather can be quite varied, and having multiple chances to photograph gorillas gives you the best chance of shooting in great light. And what is 'great light?' Cloudy bright skies! 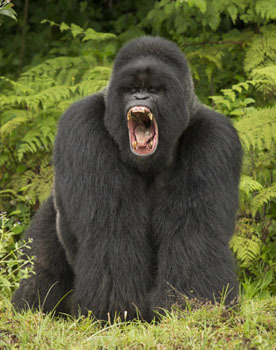 Gorillas are dark gray or black, and when there is sunlight the contrast can be very taxing. Ideally, the best conditions are light clouds that create bright, soft light. Mist, or light rain is fine, too, and on our 2003-scouting trip we even did some excellent work during a downpour. 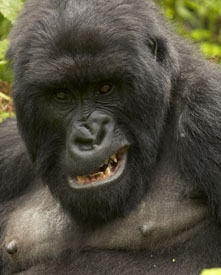 At any rate, you don't want to spend two days with gorillas and have bright sunlight one day and heavy rains the next. Of course, you could have five days of either, but the chances are that the weather will be quite varied during our stay, insuring that you'll get great images during our expedition. 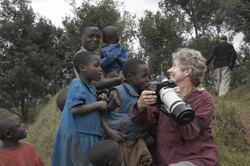 With 75 treks, and having brought other photographers with us for each, we know Rwanda and we know mountain gorillas, and their photography. Perhaps even more important, the Park staff, guides, and trackers know and appreciate our support, which translates into the best possible experience you can have with mountain gorillas. 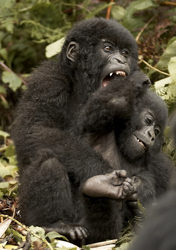 Gorillas live in the Virunga Mountains of Rwanda's Volcanoes National Park, a forested region of the northwestern section of Rwanda. Unlike most African game viewing, Mountain Gorillas are visited on-foot by trekking to their mid-morning resting and feeding locations. We're led by a Rwandan guide and accompanied by Park staff -- guards employed to protect the gorillas, and your gear is carried by a porter. That's right -- your gear is carried for you! All that is required of you is to get to the gorillas, which may involve a half hour hike but more typically requires a 'trek' of one or two hours one-way. The trekking is not difficult if you are in-shape and relatively fit, but we would not recommend this trip for anyone who is truly over-weight and out-of-shape. Hiking to the gorillas generally requires at least one-half hour of uphill hiking, and it may involve one or two hours (or more) of steady uphill hiking. The pace is slow, and your porter and the guides and rangers will help you with steep steps or muddy spots but, bottom-line, you have to be able to do the hike. Most treks begin around 7,500 feet (I'm giving figures based upon our scouting trip, which are typical hikes and distances) and involved a vertical gain of 800 to 1,000 feet over a one or two hour period. 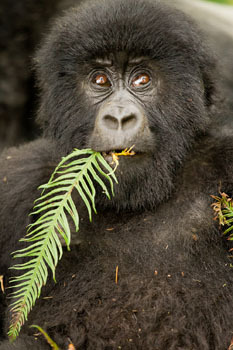 Expect to be at 8,500 feet, or higher, while photographing the gorillas. Can You Do This Trip? If you're in shape, or get into shape, there's no question anyone can do this trip. One of our scouting trip participants, who lives at sea-level and was bed-ridden with a serious illness for weeks a few months before the trip, made four of the five treks, taking one rest day on Day 5 just to 'not push it' after the illness. If you can climb five flights of steps without risking death, or if you could work out on a step-master or climb 5-10 flights of steps once a day for a few weeks to get your legs in shape, you can do this trip. But the fact is, you'll be hiking, uphill, at some elevation, and we don't want to mislead anyone who has health issues or fitness concerns -- it's too great a trip for that! 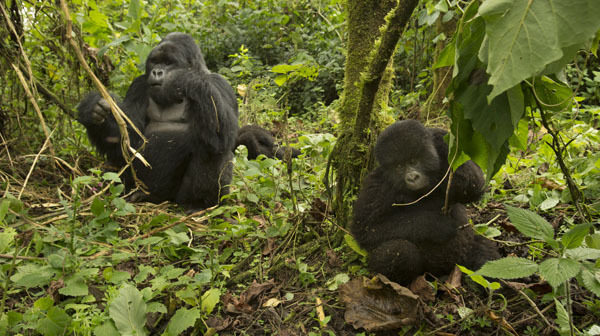 Once a trek begins, the group will continue on to the gorillas. Anyone unable to complete a trek will be left behind, with his or her porter, until our return from the trek. The 'show will go on' even if you cannot, so please don't expect the group to be compromised if your fitness level precludes your completing a trek. Fair warning, and we're serious about this. We do not advise this trip for anyone with heart problems or any other physical concern that might pose a health risk. Quite frankly, we are out in a fairly remote area and any health emergency could be life threatening. If you have any concerns about your health, please consult your physician. We cannot accept any responsibility or assume any liability for any health risks or results. Our Time Frame: The trek begins on the first night with the group meeting in Nairobi. Some of the group may be coming from Tanzania, after completing our safari to the Serengeti, while others may just be arriving into Kenya. 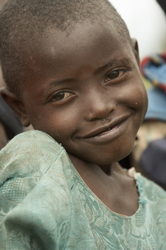 On the morning of Day 2 we'll fly from Nairobi to Kigali, the capital of Rwanda. 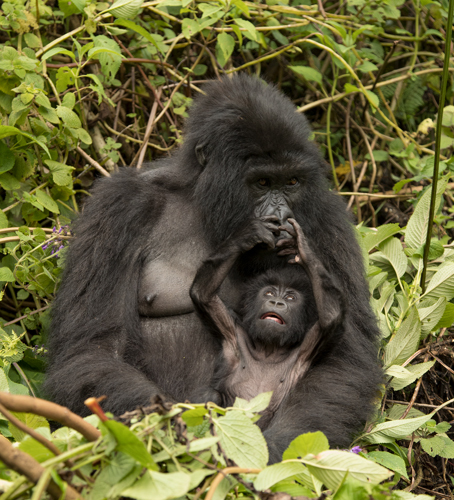 Upon our arrival in Rwanda we'll be heading directly to the Mountain Gorilla's Nest Lodge, right outside Volcanoes National Park, literally a few minutes drive from headquarters and some of the departure points for our treks. 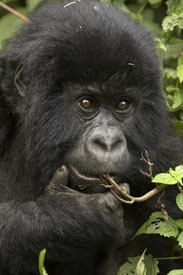 On the following day, Day 3, and continuing through Day 7, we'll be doing a morning trek for the mountain gorillas. On our 8th day we'll tour more of the Rwanda countryside for landscape and people photographs before we'll head back to Kigali where we'll overnight. On Day 8 participants will make their connecting flights back home. After the gorilla visit we'll return to our vehicle, generally arriving no earlier than 11AM but perhaps as late as 1 or 2PM or later -- depending upon the length of the trek. 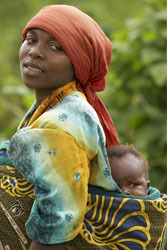 We'll have lunch and then head out for an excursion into the Rwandan countryside. Rwanda is incredibly beautiful and offers some wonderful shooting opportunities -- with landscapes, farmscapes, and mountain scenes, and with the people, who are friendly and accommodating. While some treks simply return to the lodge and rest until the next day's trek, we won't be doing that as a group. Of course, if you'd like to stay behind and rest, or relax, or catch up on sleep or reading, you're welcome to do so, but we'll be offering a full day's worth of activity. The Physical Conditions: We'll be hiking through jungle in an environment that's often damp or wet. The Volcanoes mountain chain receive a good amount of rain, so it's possible you'll be hiking in a mist or light rain, and perhaps even shooting in these conditions. Most of the hiking is on established trails that lead to the general gorilla area, but once we're near the gorillas we will be traveling over or under brush and trees -- not especially strenuous but not a stroll in the park, either. Trails can be muddy and slippery. Raingear is highly advised to keep dry, and we'll provide all participants with a complete gear list with our recommendations. Unlike any other trip we've done, this trek is exceptional in that you don't have to carry your gear! Porters are available to carry your pack, tripod, extra clothes, etc. for a modest tip per day, and this is a real luxury that should not be passed up! Trekking suddenly becomes nothing more than a hike, as you are not burdened by your gear. Once we're near the gorillas you'll be asked to get the gear you'll need, and you won't need much. You won't need to carry more than two cameras -- perhaps with one mounted with a 70-200 2.8, 120-300 2.8, or 100-400, and another with a wide-angle lens or wide-angle zoom. If you are a Canon shooter, the 28-300mm lens is perfect. Nikon's 18-200 is a good choice for that brand, and off-brand lenses often cover these focal lengths. A tripod is especially handy for the lighting conditions, but some people find using one challenging and elct to handhold, or to use a monopod, or even use their tripod as a monopod. We too do this at times.. Again, we'll be offering full support regarding what equipment you'll need to all our registered participants. For the hour with the gorillas you'll be carrying the equipment you'll be using -- so going light makes sense, but again, you simply won't need 'big glass' or a lot of acessories. 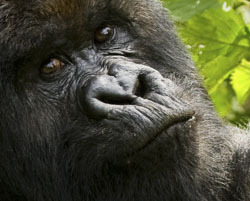 The Gorilla Trek price for our upcoming trips is based on land costs from Nairobi including airfare from Nairobi to Kigali and back to Nairobi. It includes all accommodations (double occupancy) in Nairobi and Kigali, airport transfer, all land transport in Rwanda, all meals in Rwanda, gorilla permits and park fees, all tips for guides and lodge staff and temporary Flying Doctor membership while in Rwanda. The price does not include lunch and dinner in Nairobi upon return, tip for camera porters, tips for room stewards and luggage porters, drinks at all meals, personal items or the single supplement if private lodging is requested. spending time with and photographing the people. As a husband/wife team, Mary Ann and I have won more times in the prestigious BBC Wildlife Photographer of the Year competition than any one. To date we have had 15 firsts, seconds, or thirds -- and we have not entered every year. Our trips are not about us, however, they are all for you, but credentials seem to matter, and we have them.